I’ve tried thousands of marketing tactics, hacks, experiments, and tricks in my career as a marketer. By far, the most effective marketing tactic I’ve discovered is Facebook Messenger ads. 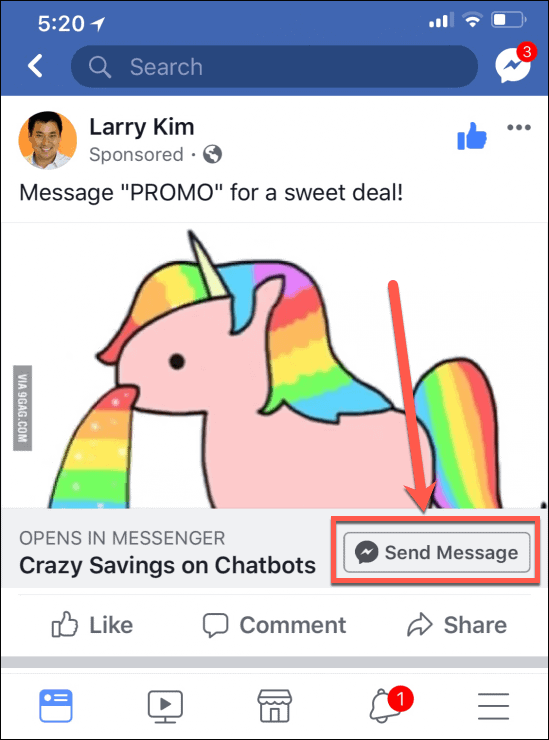 Facebook Messenger Ads are a paid method of promoting your Facebook posts that invite people to open a Facebook Messenger conversation. Ordinary Facebook ads invite people to click and visit your website or landing page. They’re typically expensive, and you won’t gain detailed information about your visitors. Messenger ads, by contrast, launch a cascade of engagement. Facebook Messenger ads rely on chatbots to handle engaging with your customers, following up with them, and taking them further down the funnel. I’ll cover all of that in detail in the sections below. Let me give you an example of a Facebook Messenger ad in action. 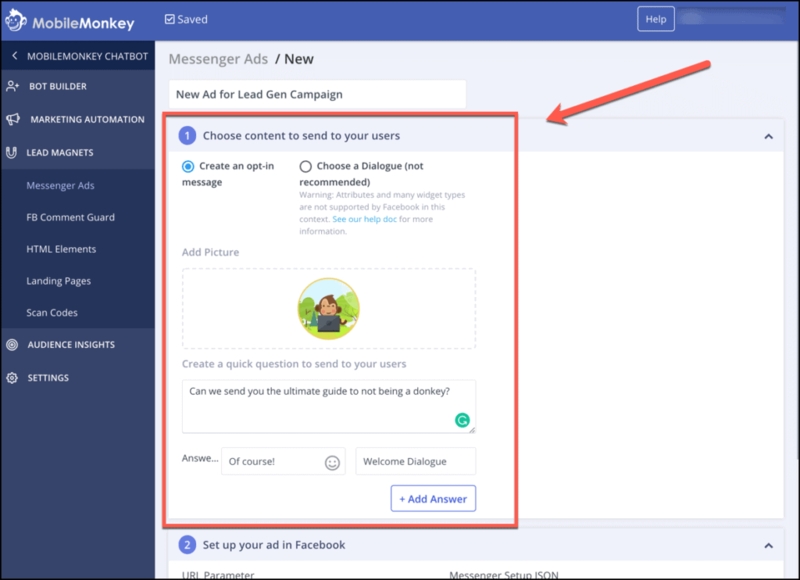 If you’re not familiar with Facebook Messenger ads, this will help you understand them better when you start making your own. When they click “Send Message,” it opens a Messenger chat. That’s it. The contact has entered your funnel and the ad is successful. Obviously, there’s a lot more to it than that. But that’s the entry point for a Facebook Messenger ad. From that point, you’ll you can turn on the marketing magic with a MobileMonkey chatbot. MobileMonkey handles the automated qualification and lead engagement aspect. Why Are Facebook Messenger Ads So Awesome? I want to tell you why Facebook Messenger ads are awesome. If you know anything about me, you know that I freaking love unicorns. 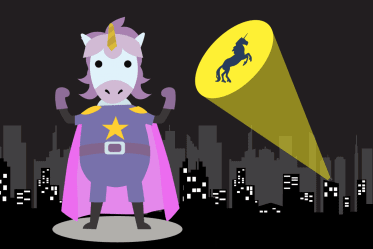 In my world, unicorns are marketing techniques that are thousands of times more successful than ordinary marketing tactics. Only 1-3% of marketing techniques will ever be unicorns. But that 1-3% of unicorn tactics brings in 80% or more of your marketing success. 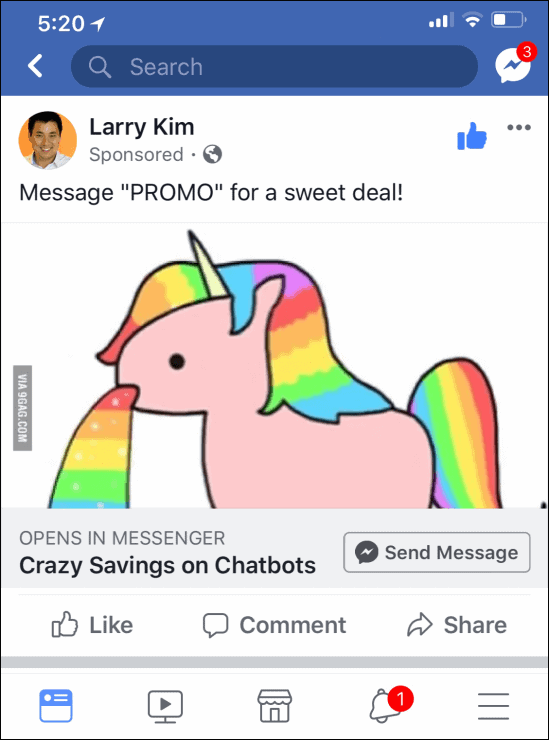 Because Facebook Messenger ads are unicorns. Decide for yourself as you consider these benefits of Facebook Messenger ads. Facebook Messenger ads capture all of a prospect’s information. In my opinion, this is one of the best things about Messenger ads: loads of intel. I get all kinds of information on who messages my page. Since I’m a data guy, this is really fascinating stuff. Obviously, I like having the bird’s eye perspective, like these insights. But I can also get detailed information on the individuals who message my Facebook page. This is about to get ridiculous, but you have to believe me. Look at this chatbot I set up. Not only did this individual engage with the bot, but he also gave me his full name and phone number. That’s incredibly valuable information. It would be really expensive to purchase information like that, but I got it for free. If I’m really curious, I can even check out other info — what time it is where they are, where they work, where they’re from, where they live, and even their Facebook profile. You know as well as I do that a lot of people put their entire life information on Facebook. 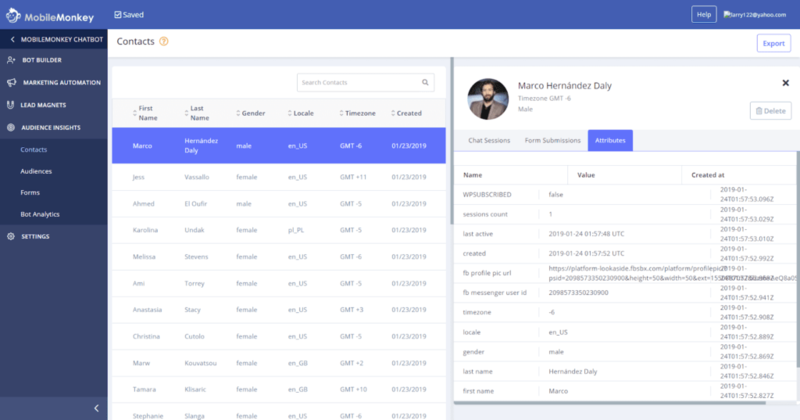 Once an individual messages your page, you have the following information on them: first name, last name, profile photo, gender, location, time zone, country, and messaging permission (the ability to send push notifications back to that user). Facebook Messenger ads have almost unbelievable engagement rates. The engagement rates for Messenger marketing are shocking. If you’re used to email marketing, you might expect an open rate of maybe 7% on a really good day, right? 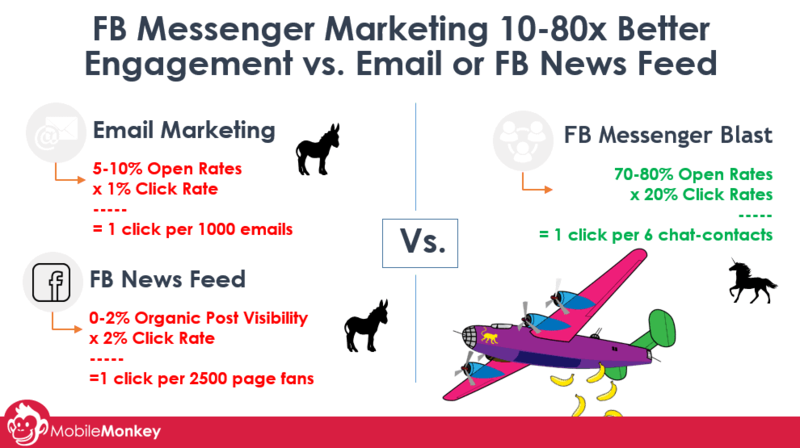 With Messenger marketing, you can achieve 80% open rates in the first sixty minutes. I’ve achieved rates of lead acquisition that I’ve never seen in my other businesses. And look at these growth rates that happened as a result. In just a few months as a startup, we grew like crazy because of Messenger ads. Facebook Messenger ads give you permission to contact the prospect later on without paying. When someone starts messaging you, they are giving you permission to contact them. Obviously, rules apply. However, the reality is, they are now a lead. You don’t have to “retarget” them in the traditional sense. They’re on your list, and you can message them. To really turn up the heat, you can use chat blasting, another unicorn technique. 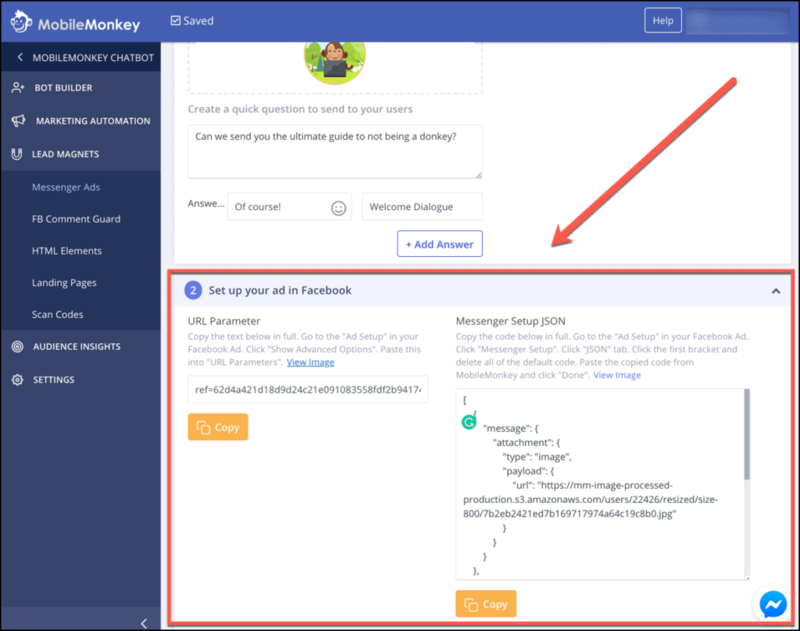 You can create a Facebook Messenger ad within Facebook Ads Manager, or you can do it through MobileMonkey. 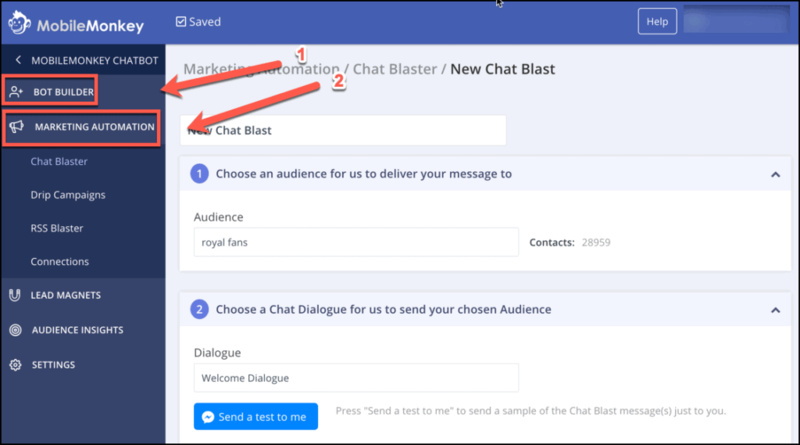 In the MobileMonkey chatbot builder, click Lead Magnets then Messenger Ads. Click “New Messenger Ad” in the next screen. Then, you can begin to create the content to send to your users. 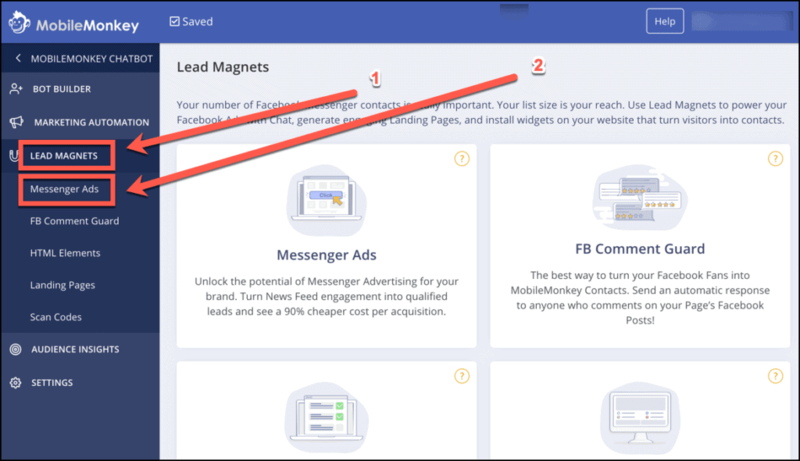 Since Messenger ads are essentially lead magnets, you want to offer something irresistible to your users. This is the entry point to someone becoming a lead, and you want to make sure that your offer is enticing. The Messenger Ad wizard creates code that you can then copy into Facebook Ads Manager to create the ad. Congratulations, you’ve created your first Facebook Messenger ad! Once your ad starts running and people start messaging you, you’ll benefit from the enormous power of Facebook Messenger Ads. Facebook Messenger ads are just the starting point. When someone responds to your ad, boom, you have a contact — a real, live, valuable lead. What do you do with this lead? There are plenty of options, all of which will effectively retarget your new contact. In MobileMonkey, you can send your new leads a message (for free) within the first 24 hours and a second message later using a bot. Drip campaigns are another powerful method of engaging your users and offering them even more value. To create a drip campaign in MobileMonkey, select Marketing Automation → Drip Campaign. 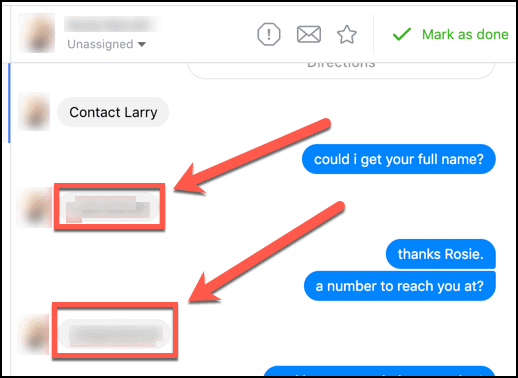 Drip campaigns in Messenger are similar to email drip campaigns, except that the drip sequence is usually faster and has the potential for higher engagement. 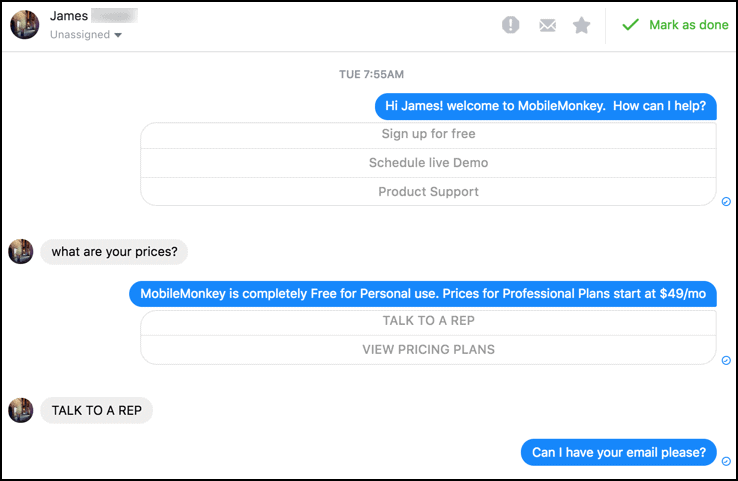 Creating a Facebook Messenger chatbot sequence in MobileMonkey allows you to segment your audience as well. You can create a bot that asks your audience qualifying questions. If, for example, you are trying to attract marketers to your business, you can ask. Based on their answer to this question, you can ask follow-up questions. What is your Primary marketing objective? If you were simply driving an audience to a landing page, as is the case with a traditional Facebook ad, your conversion rates would by default be significantly lower. A landing page makes assumptions about the audience based on the ad demographic targeting. It presents an offer that will hopefully resonate with the target audience. Chat marketing is fundamentally different. Instead of making assumptions, you tease out details about the target audience. These diagnostic questions segment the audience, allowing you to create a messaging funnel that will convert at significantly higher rates. As I mentioned, a Messenger ad is just the first step in an entire interactive journey. Most marketers simply aren’t aware of the high-octane power of messenger ads, let alone how to take it to the next level with chatbots. We’re in a new era of advertising. Interactive experiences have displaced megaphone-style tactics. 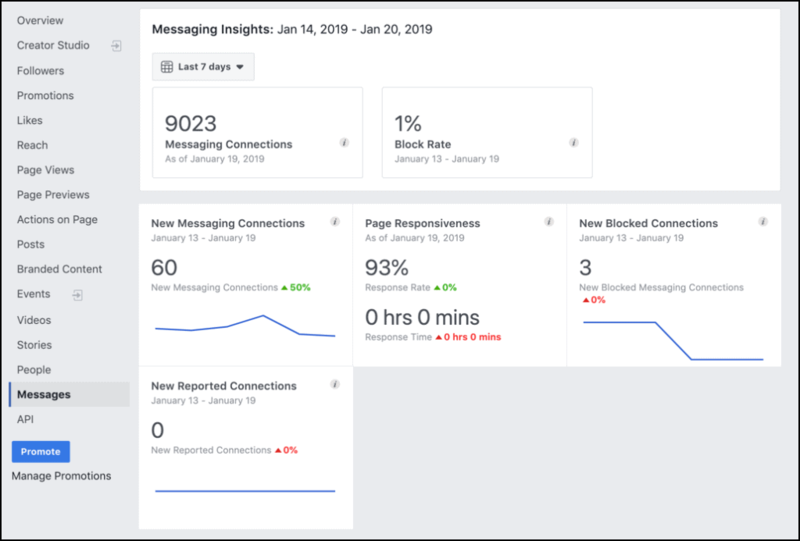 Facebook Messenger marketing using Messenger ads is a powerful way to expand your contact list, improve lead quality, and continue retargeting for maximum success. Be sure to create your own free MobileMonkey account or watch the tutorial below to get started. Larry Kim is the founder and CEO of MobileMonkey, the world’s best Facebook Messenger marketing platform. Larry is also the founder and former CTO of WordStream, Inc., the leading provider of AdWords, Facebook and keyword tools used by over a million marketers worldwide. He’s been named Search Marketer of the Year from PPC Hero (2013, 2014, 2015, and 2017), Search Engine Land, and the US Search Awards. Truly helpful guide Larry, thanks!